This is perhaps one of the most common problems; chances are very high that almost all of us have faced this at least once. Yet, we tend to think of the problem in a lesser light: it may happen for so many reasons; we don’t really want to get into a bad soup with the person who had to pay us. The Section 138 of Negotiable Instruments Act gives us the legal right to bring a case against the issuer of the bounced cheque. As the number and severity of financial fraud is on the rise, knowing the few steps will help you in need. High court advocates in Chandigarh will lead you through the process. It is good to know that you can’t possibly file a case against a bounced cheque you received for charity or as a gift. You need to take action within 30 days of the date the cheque bounced on and the bank issued the cheque return memo. Suppose you contacted the issuer and you got the information that the bank account now has received some funds to honour the cheque, please note, you can produce the cheque within 90 days since the return memo was issued. a) The cheque was written well within the validity period. b) Lack of fund was the reason why the bank could not honour it. c) The cheque was written to pay some liability. d) You have to give a written notice of 15 days to the defaulter to pay the amount within 30 days of the dishonour. e) Despite your written notice, the defaulter failed to repay. However, if the defaulter stopped the payment by any means, this can also be treated as dishonour. Take the help of any high court lawyer in Chandigarh to file the case in a Magistrate’s court. The court will look into the matter in due time. Please keep a record of the fact that you sent the written warming of dishonour. The receipt of the courier service or post office will hold true in the court. Sending only an email regarding the dishonour of the cheque is not a very good idea. As dishonouring a cheque is punishable offence in India, the defaulter may be sentenced for maximum two years behind the bar. This may often accompany a fine of as much as the double of the amount written in the cheque. Sometimes, the defaulter appeal in lower courts. In these cases, out-of-the-court settlements are very common. Ask for legal help from the best advocates in Chandigarh to get the right idea for your own case. In addition, you can also file a case of cheating under Section 420 of the penal code. 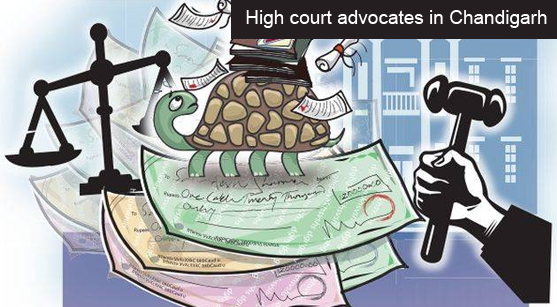 Understanding the severity of the act of dishonouring a cheque is the key to get justice done for your harassment.